Does your service provider’s cyber security measures meet the demands of the digital business environment today? Of course, having perimeter defences in place is only part of the solution. Finding the means to secure consumer data, wherever it resides on the corporate network, is probably the most critical part of the equation. With more than 230 000 new instances of malicious software produced daily, companies are under pressure to ensure the security of their data. Research has found that the global average cost of a data breach is $3.86 million and the average cost for each lost or stolen record containing sensitive and confidential information is $148. Making things even more complex is an evolving legislative environment across the globe, with the EU’s General Data Protection Regulation (GDPR) among the most notable to focus on the integrity of customer data. Just consider how much today’s businesses rely on data, to not only analyze customer requirements, but also develop more tailored offerings for a digital environment. Globally, this reliance on data is synonymous with the increased usage of mobile devices, which have become ubiquitous. In Sub-Saharan Africa, mobile subscriber penetration reached 44% at the end of last year and forecasts are that there will be one billion SIM connections in the region by 2025. In North America, mobile subscriber penetration reached 84% at the end of last year and forecasts are that there will be 585-million SIM connections in the region by 2020. Each of these devices (and SIMs) generate data that inevitably feeds back into the corporate network. Similarly, consumers increasingly receive bank statements, utility bills, accounts, and other documents containing sensitive personal information via email or other digital means (think downloadable copies from sites and even through instant communication platforms). While this has reduced the paper sprawl on desks, it has created a situation where there are multiple electronic copies of the same documents. You might have saved a statement on a laptop, viewed it on a mobile phone, and backed it up to a cloud provider. Equally, a company could also have various versions of your documents stored on the corporate network, whether that is hosted locally or stored off-site. Compliance requirements dictate that these documents (containing personal information) need to be adequately protected irrespective of where they are stored. In certain respects, the responsibility of your personal data security should be shared between you and your service providers. A company must take the required steps to encrypt and protect sensitive customer documents. While you must ensure the device used is secure and that you save your documents responsibly. In other words, don’t send a bank statement via instant messaging to your significant other or submit sensitive information without checking the security of the provider used. For the provider, solutions are available that enable the viewing of a document (such as a bank statement, utility bill, and the like) as either an interactive Web or PDF experience through a browser or mobile application. This means, you can securely browse through your document knowing that it is in a protected environment. For example, a cell phone bill can have multiple tabs showing the bill portion, as well as data and voice usage. Additionally, a company can leverage these secure document presentation solutions to make documents available on the corporate website. This means they can store your bills for the last six months in a secure and encrypted environment, for you to access as required. It is not only convenient to have a central repository where all your cell phone bills are stored, but also negates the need to save those documents on a computer or mobile device. The digital age has enforced a more aggressive approach when it comes to managing personal data. 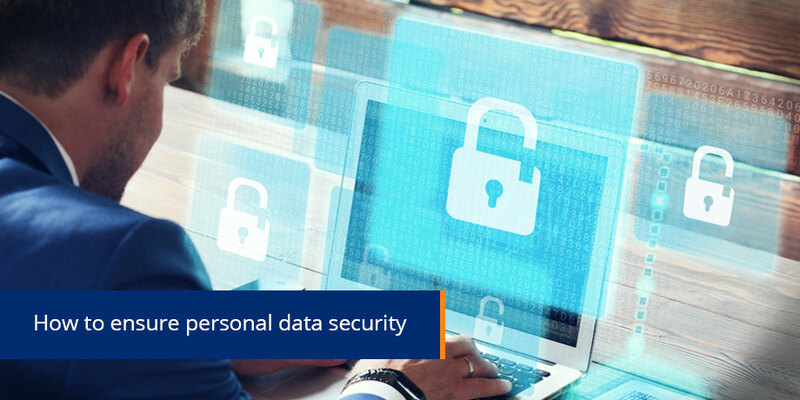 While organizations are compelled to fully protect customer data at all times, you (the end user) also need to take the necessary precautions when viewing, saving and managing your personal information.